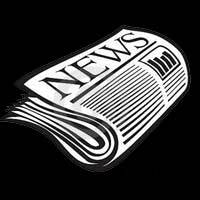 News from District 11 – JAN 2019 | F.F.A.M. Greetings and happy new year to all from the west side of the state, hope everyone had a fantastic and safe holiday and new years! What a great holiday season it has been. I have seen that Santa visited a lot of fire stations so he could meet the community kids and get their wish list along with seeing departments and districts having banquets for their members and showing appreciation for them along with the out pour. I’ve seen from the communities where I volunteer and my career job as well as the other social media post from other fire and EMS agencies the community brought goodies and thanks to on-duty crews Christmas Eve and day along with new years holiday. Hopefully everyone sees how much they are appreciated for what we sacrifice to protect our neighbors. I had to think hard for what I wanted to present to you in this newsletter as I was busy and haven’t traveled to visited my district as much as would have liked during November and December, so a goal I thought of that I would like to attempt and challenge each and everyone of you individually and as departments and see if we can be proactive and take the initiative to be the best boots on the ground and make sure everyone goes home safe and not have a LODD in the state of Missouri in 2019. Hoping that in 2020 we have no names to be written on the wall in Kingdom City during the May Memorial. You ask how can we prevent this? Well the best approach is train and train some more. I know it can be redundant and sometimes seem unnecessary but even if you have 23 years in your SCBA and under your axe belt, it is still positive muscle memory to go over what we already know. It sets a good example if you’re in a leadership role or a salty veteran to the guys with little to no exposure or years of service in this wonderful field we have chosen. I know unfortunately it will be hard to curb the current cancer outbreaks or health issues I’m just suggesting lets try to prevent a LODD from mistakes on the fire grounds or roadway scenes. There are enough free training sources available online or other training venues to make great training nights and if you department trains weekly, that’s 52 trainings this year that can be accomplished. I hope the buy in on this will be great and every member will attempt this challenge with in their organization. 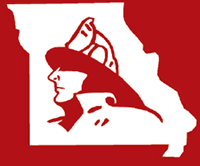 With that being said, that leads me to remind you all about Winter Fire School that MU puts on in Columbia, February 1-3, 2019. I’ve seen a lot of great classes in the brochure for this year and if anyone is like me and has to pay out of pocket to attend this event, I carpool with somebody and split a hotel room to cut fuel cost and lodging expense. Then there is also the week long summer school that service members can attendant and take what they’ve learned and share back at their department. If you’re at the expo Friday night stop by the FFAM booth and say high and meet myself and other district representatives that serve you through this organization. As a reminder we are in full swing of FFAM renewals and I’m glad to see that the word has spread to EMS agencies via word of mouth from our membership and also fire departments that were not members. I’ve had several phone calls regarding the organization, so please continue to spread the word. 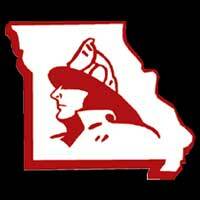 The FFAM annual banquet as stated in prior issues is back in Sedalia, Missouri, on April 12-14, 2019. I would love to see a large turnout from agencies around the state as the building can hold approximately 700 plus people that will have a great time and would love to see more departments in the firefighter challenge games on Saturday morning! If you or know someone that would like to advertise a business or their support at our convention get them in contact with myself or your area FFAM district representatives so we can help out. If you are interested in coming to the state fair fire depart either 1 day or all 11 get your applications in by the deadline with the required documents. We have plenty of room and are always looking for new faces to join our team and make new friends and experience something like no other out there, unless you’ve worked Kansas City’s Rockfest. Some of you may know our President Kenneth Hoover has announced his retirement as Chief from the Little Dixie Fire Protection District after an outstanding career of 45 years in the fire service. He has help mold firefighters of all ages through his departments junior firefighter program or incoming new volunteers or through his years at the state fair fire department. He has past on countless and valuable things to firefighters throughout the state and there is no way possible to thank him for everything he has done to leave his mark and leave the service in ways better then they were before. So if you can make his retirement reception on March 16, in Mexico, Missouri, at the Audrain County 4H Center on Hwy D from 4:00 p.m. – 7:00 p.m. he would be delighted to see you. Who in the state has the best BBQ and smoking talent? 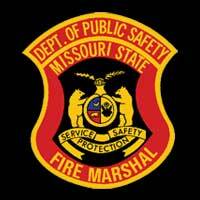 If you or a team from your department thinks they have the best of the best then consider entering the Missouri Fire service charity BBQ and Smoke in Columbia, May 11, at Mid-America Harley Davidson and maybe it will be you to get the, “Best Rib in Missouri,” and bragging rights. 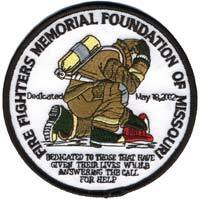 See more details on their facebook page at Missouri Fire service charity BBQ and Smoke 2019. If anyone has an interest in getting involved with Nascar as an EMS or firefighter get a hold of myself and I can get you the information. In closing I wish you all well and have a safe beginning of the year and remember to look out for one another and remember to look for the tell tale signs of PTSD. It is becoming more of a silent killer at an alarming rate, approximately 103 firefighters had self inflicted end of watch in 2017. This is more then the reported LODD for 2017 and I believe the 2018 statistic was shown to possibly double that of 2017, but the official report has not been released at the time of printing this newsletter. Please take care of each other and if someone reaches out, listen with out giving grief as you could be the one that makes a difference for a member. If anyone needs to reach out feel free to contact me or any director which is located on the FFAM website and we can listen or reach out to our avenues to get the help one needs. I’ll talk with anyone across the state and help because we need help sometimes ourselves due to the things we see and deal with on calls. Take care and hope to see you at one of the many events coming up in the future!